Artificial flavor. 45% fewer calories than our regular pudding. 60 calories. Sugar free. Good source of calcium. 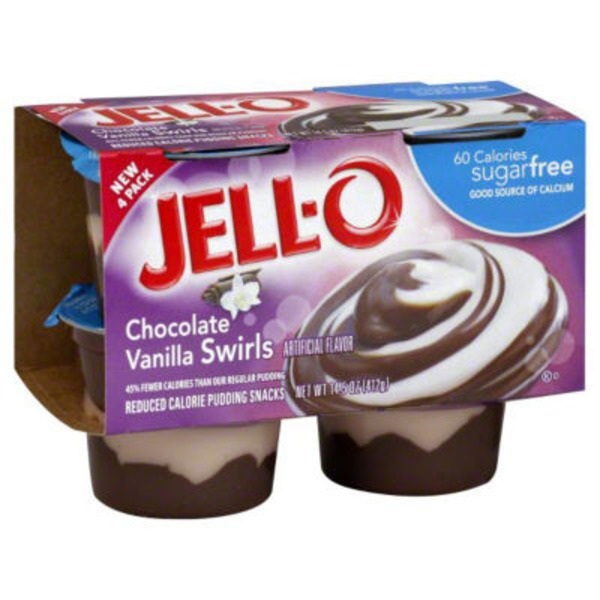 This product contains 60 calories, our regular pudding contains 110 calories. Water, Xylitol, Modified Corn Starch, Milk Protein Concentrate, Cocoa Processed with Alkali, Contains Less than 1% of Hydrogenated Vegetable Oil (Coconut Oil and Palm Kernel Oils), Salt, Sodium Stearoyl Lactylate (for Smooth Texture), Calcium Phosphate, Sodium Alginate, Sucralose, Acesulfame Potassium, Natural and Artificial Flavor, Artificial Color, Yellow 5, Yellow 6.